Discovery and use of vaccines as a form of medical intervention to diseases has seen a number of technological transformation in vaccine inventory management. One of the major issues of interest is understanding the individual composition of such biological preparations intended for use in acquired immunity. Efficient Vaccine management is therefore vital in meeting different challenges and transformations as demanded by medical practitioners from preparation, transportation and storage of such vaccines before they are eventually administered to clients. An appropriate vaccine management application system has been developed to help in efficiency and promotion of management at three different levels. Vaccine management at the level of reimbursement and payment has been in practice for a long time by great majority of medical institutions. It has however come with a disadvantage of high cost as a result of management gap from the time of reimbursement, to effecting payment stage. This is attributed to three basic components of making an order or buying, administration of the vaccine, to billing. This is attached to sales with discounts not being incorporated in the optimal bill. Critical analysis indicates that due to the management gap, the practice loses at the point of billing and at reimbursement stages. The other management approach on vaccine is at the cold chain. Most of this approach is at the level of retail pharmaceutical or medical practice before administration. 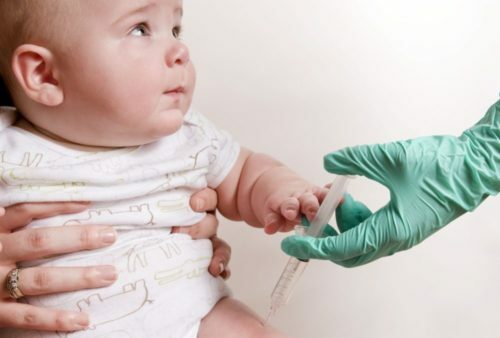 It is a management policy pegged on the fact that vaccines are maintained at a given temperature beyond which they lose viability and relevancy. Refrigeration and different cooling mechanical systems are applied to the vaccines to help in maintaining their desired characteristics. Vaccine management at the cold chain level involves use of monitored thermal analyzers. Temperature changes are detected and conveyed as alarm sounds signals if an optimum level is reached or through light signals which can easily call for the attention of a person at the practice. When the meters register a change in temperature, as conveyed by change in calibration levels, the information is relayed and analyzed. Advancements on the same system are monitored digitally by sensors which simultaneously send email notifications. Maintaining a given range of optimum temperatures within the refrigerator or freezer specifically as designed for each type of vaccine, is important and all the operation attracts costs which lower returns for the practice. Formulation of inventory management system for vaccines has since been in practice for a majority of medical institutions and pharmaceutical enterprises. This system works on the basis of applying records on paperwork and information relay or data entry and tabulated in Microsoft excel spreadsheet forms. It is usually labor intensive if done in the conventional manner as is the case with most practices. With the introduction of an integrated advanced vaccine management system, vaccinexpress, the limitations of the predecessor management systems, approach are eliminated and an improvements and introductions on vaccine practice is enhanced. Some of the introductions to the previous systems of management are bar code readers from manufacturer to delivery and are monitored until consumed or administered to the patients. An appropriate management system is comprehensive enough to contain bio-data of patient’s demography report. Vaccinexpress application is programmed that also works to ensure monitored vaccine scheduling practice making it a preferred management option. Contact us to get more information on how you can improve your Vaccine Inventory Management.